Last night I made this self-portrait using a demo version of a program called ArtRage. 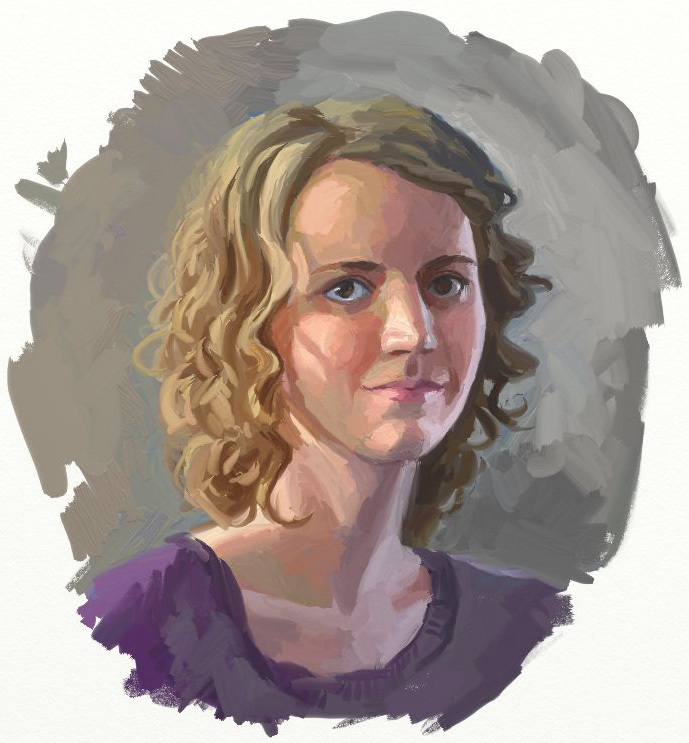 ArtRage is supposed to simulate working with traditional materials - and I have to admit that doing this portrait with the "oil painting" brush brought back a lot of memories from my portrait painting class with Fongwei Liu from two years ago. It felt a lot like real paint, although I couldn't figure out how to blend the colors together as much as I would have liked. 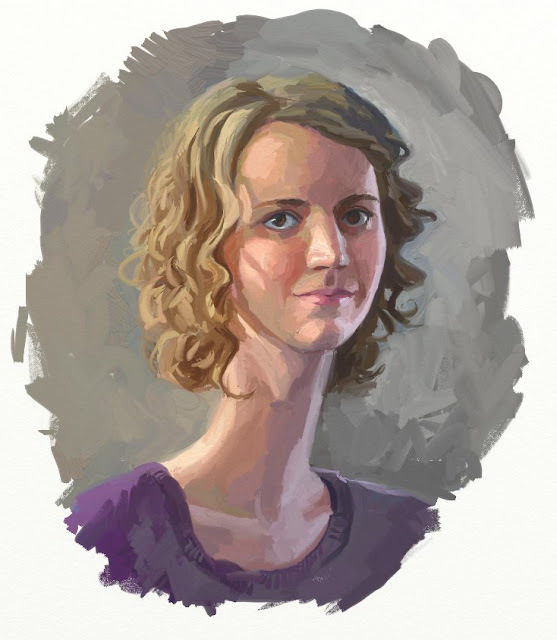 As I was adding the final touches on my painting, my husband came over and said "you should draw yourself with a really long neck." This painting...disturbs me. But it was worth it to see my husband laugh so hard.